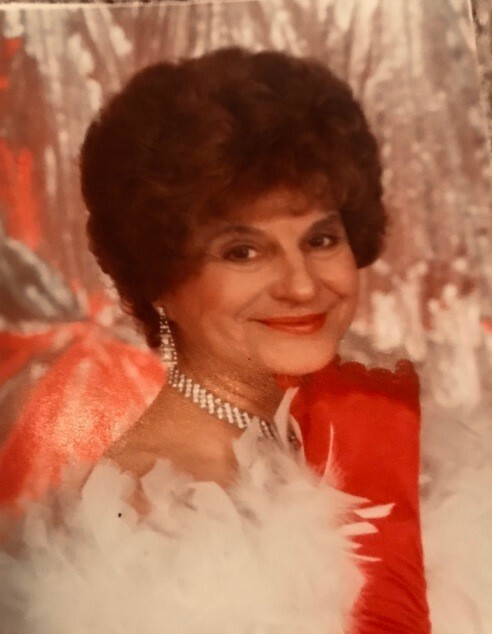 Our beautiful and spirited Eva Mary Geich Campanian passed away on January 27, 2019 at the age of 89. Eva fell and broke her hip on Dec. 14. Her strong and willing spirit helped us to believe she would return to her home and continue on in this life. But unfortunately, that was not to be. Eva was born in Oakland on Dec. 23, 1929 to parents Frances and Vincenco Geich, from Croatia. She attended St. Cyril’s Grade School and graduated from Fremont High School in Oakland. She then went on to complete the Hairdresser and Cosmetician program at Mills College in Oakland. Following her graduation from Mills College in 195, Eva met Frank Campanian, a very handsome young man serving in the US Army. They were married on Oct. 7, 1951. Shortly after their marriage they moved to Sweetgrass, MT, to work with Frank’s father, Leo Campanian and his wife Elinor. Together, they helped to run the family business “The Glocca Morra,” that consisted of a hotel, bar, and restaurant. Later Frank and Eva owned and operated their own business, “Bill’s Bar.” We sadly lost Frank at the early age of 58. Eva continued to run Bill’s Bar and eventually went on to a long and enjoyable bar tending career at the Glocca Morra, which is still owned and operated by Frank’s half-brother, Danny Campanian. Eva spent sixty three years of her life in Sweetgrass. If you were lucky to meet and get to know Eva, you would never forget her! She will long be remembered by her beautiful smile and wit and bustling behind the bar, always taking care of everyone. She was renowned for calling those close to her “Kid.” Eva was smart witty, kind and compassionate. And definitely always her own person. To those she loved, she was a true-blue supporter and friend. She and her good friend Laura, enjoyed many cribbage games together. A special thank you goes out to Gayle and Tim Buckley who showed great kindness by opening up their home for Eva, her last few years in Sweetgrass. She also spent many lovely holidays with the Campanian family, Carmella, Linda (Dave), Danny and Leo John, who unfortunately we lost in 2014. The past 5 years of her life were spent in Calistoga, CA. It was the perfect place for her to move. Her daughters, Frances and Sandra lived close by and were able to lend a helping hand. This move allowed Eva much joy, comfort and entertainment in her latter years. The wonderful community of Calistoga seemed to embrace her and appreciated her spirit and the fact that she was always the first on to get up and dance at The Hydro Grill and Concerts in the Park. She was often seen around town with Zsa Zsa, her beloved caregiver and friend, dressed in their sparkly outfits and having lunch or dinner at one of the many fabulous restaurants. Eva was preceded in death by her parents, her husband, Frank and her dearly beloved brothers, Spiro, John and Vincent Geich, (who always looked out for her). She is survived by her two daughters, Frances and Sandra Campanian, her nieces, Donna Winchell and husband Bob, Jessica Geich and Tanya Garberg and Shirley Nelson; her nephew, Jim Michaels; The Campanian family, Carmella Grill and Lew, Linda Mydland and Dave, Danny Campanian and Rachel and Bob and Kathy Campanian. Eva touched the hearts and lives of everyone she met and will be fondly missed by all, she will remain in our hearts forever. There will be a private family placement of her Urn on Friday Feb. 15 at 1:00 p.m. at Tulocay Cemetery. There will be a Celebration of her life on Feb. 17 at 1:00 p.m. at The Chateau Calistoga Clubhouse. There will also be a second celebration of Eva’s life in August, 2019, in Sweetgrass, MT for all of her many Montana family and Canadian friends. Condolences and words of sympathy may be sent to the family online at www.tulocaycemetery.org.